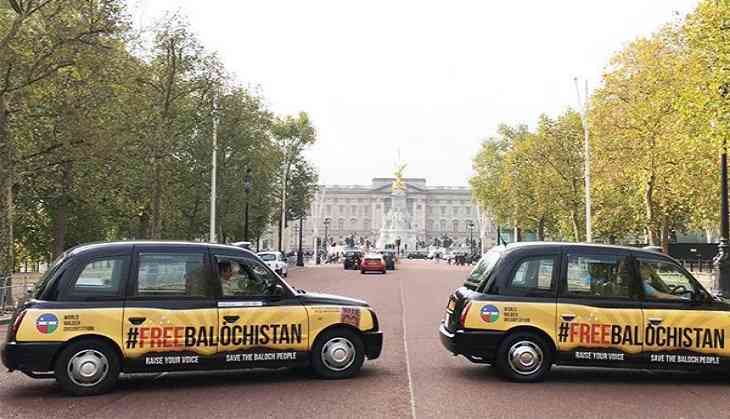 London taxis with the words ' Free Balochistan ' written on both sides were seen plying outside Buckingham Palace in what can be called as a new push by overseas Baloch groups to attract global attention to their cause for independence from Pakistan. "Our peaceful awareness campaign in the great city London aims to highlight human rights abuses in #Balochistan by Pakistani authorities (sic)," the World Baloch Organisation said in a tweet. Vehicles were also seen with posters reading "Save Baloch Women & Children Campaign around the British Parliament and the London Eye in Central London to highlight enforced disappearances in Balochistan. Various Baloch organisations had recently organised protests in several Western countries as part of their ongoing international awareness campaign for the freedom of Balochistan.